Come Out and Play Badminton! 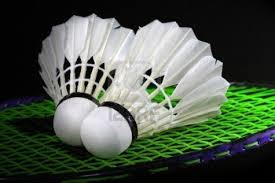 Decatur Recreation Center now offers badminton on Wednesday evenings from 7-9 pm through the Fall. Ages 10 and up are welcome- all levels as well. Three courts are available and it is FREE to Decatur residents. Non-resident fee is $5. For more information contact Sue Wieloch (770) 377-3404.